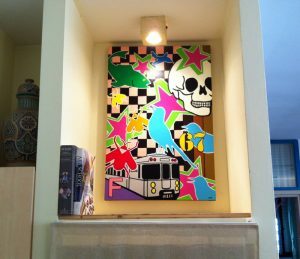 "67 F" Original at it’s new home in Tel Aviv, Israel!! The Original of “67 F” at it’s new home with Liz Rubins in Tel Aviv, Israel!! Looking Great Liz!! — with Monty Montgomery Art in Tel Aviv, Israel.